In 1989, Liu Xiaobo was a 34-year-old professor in Chinese literature and philosophy in Beijing Normal University. He was just starting to make a name for himself in the small circle of elite intellectuals with his sharp criticism of Chinese tradition and culture. When the student movement broke out that spring, he was at New York visiting Columbia University in the middle of his multi-nation lecturing tour. He felt that he could not stay abroad any more, so he purchased a plane ticket for Beijing. On April 27 of that year, he was in transient at Tokyo airport when he heard the news of the People's Daily editorial which labeled the budding movement as "turmoil." Sensing the coming danger, he hesitated. But eventually he still boarded the flight and returned to Beijing. Once there, he became a close friend and advisor to student leader Wuer Kaixi, who was from the same school. So much so that, during a critical meeting on May 27 of the Capital Joint Conference, he proposed to have Wuer Kaixi formally elected as "China's Lech Walesa." 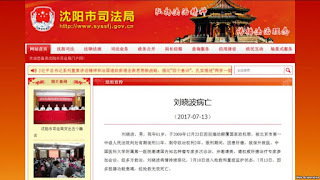 The proposal enraged fellow student leaders Feng Congde and Chai Ling, and contributed to the failure of a withdraw plan. Later, he grew personally angry when he saw most prominent intellectuals chose to hide and run away when a severe suppression became imminent. In order to gain credibility so that he could influence students directly, he launched a hunger strike along with three others on June 2, barely more than a day before the massacre. On the night of the massacre, he and his fellow hunger strikers were at the base of the Monument of People's Heroes with thousands of students. In an important incident, he led the efforts to destroy a gun that had appeared within their own ranks, preventing the possibility of a direct armed confrontation with the military. Initially, Professor Liu Xiaobo favored to persist and was against the idea of a voluntary withdraw. He was persuaded by his fellow hunger strikers and used all his power and persuasion to ensure students followed the withdraw plan. In the immediate aftermath, he was arrested and briefly blamed as the "black hands," or conspirators, behind the movement. But eventually he was released without a formal sentence, after a detension of 20 months. Liu Xiaobo later wrote extensively on his thought process and feeling during the time, criticizing himself for behaving not strongly enough under pressure. After losing his university job, Liu Xiaobo became a free-lance writer who frequently published his views on current events in oversea Chinese media. He is also active in efforts on assisting victims of the 1989 massacre, both financially and in other means. In October, 1996, he was sentenced for three years for criticizing the government. In 2008, he initiated and drafted the "Charter of 08," calling for human rights and free elections, among other things. The document has collected more than 8,000 signatures. 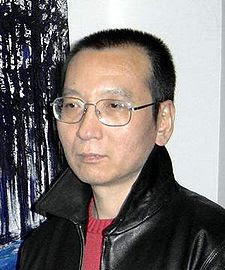 Liu Xiaobo was sentenced to an 11 year prison term on December 25, 2009. On October 8, 2010, Liu Xiaobo was awarded the Nobel Peace Prize for his "long and non-violent struggle for fundamental human rights in China." Liu Xiaobo died on July 13, 2017, of liver cancer, after briefly paroled from prison for hospital treatment. He was 61.